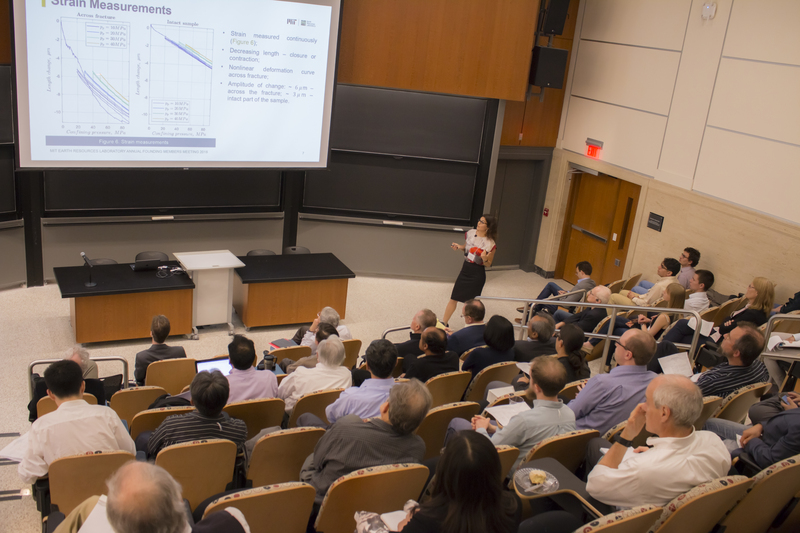 Topics to include machine learning, multiphase flow, rock physics, geomechanics, inversion/uncertainty, and imaging. Above: ERL Gradtuate Student Ekaterina Bolotskaya presents her work at the 2018 ERL Annual Founding Members Meeting. She will also be presenting a poster at AGU.